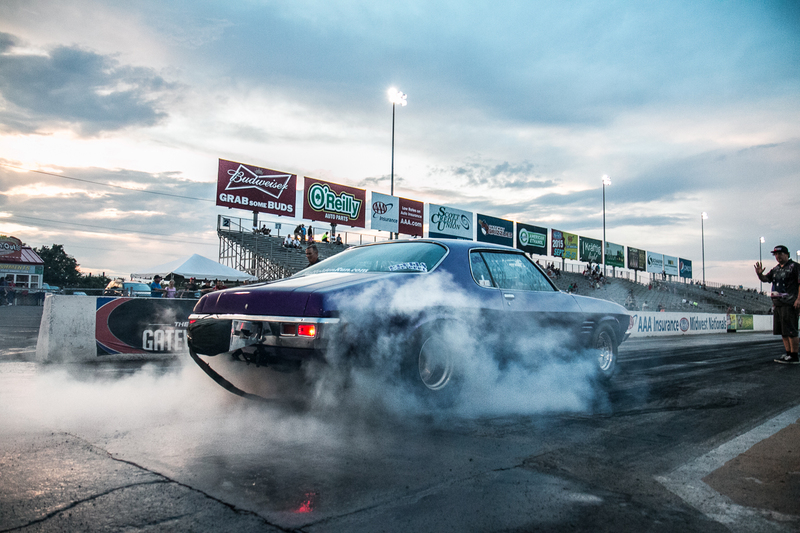 THE last day of Hot Rod Drag Week 2015 was a punishing end to a gruelling event, back where it started at Gateway Motorsports Park, Illinois. It was hot, humid and the enforcement of the rules as implacable as ever. 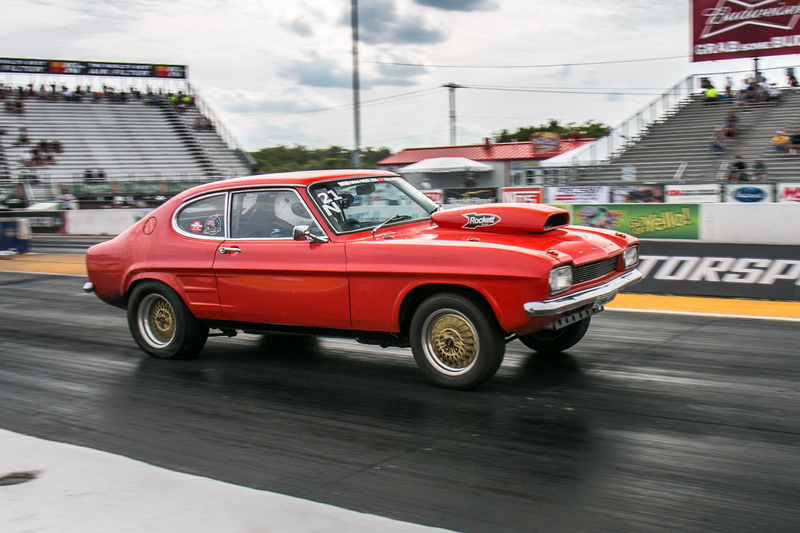 Of the five Aussie teams, three made through to be declared official finishers of the event; the LX Torana of Brian and Diane Jensen; the Capri of Steve Reimann and Mark Arblaster and Greg Trapnell’s HQ Monaro. 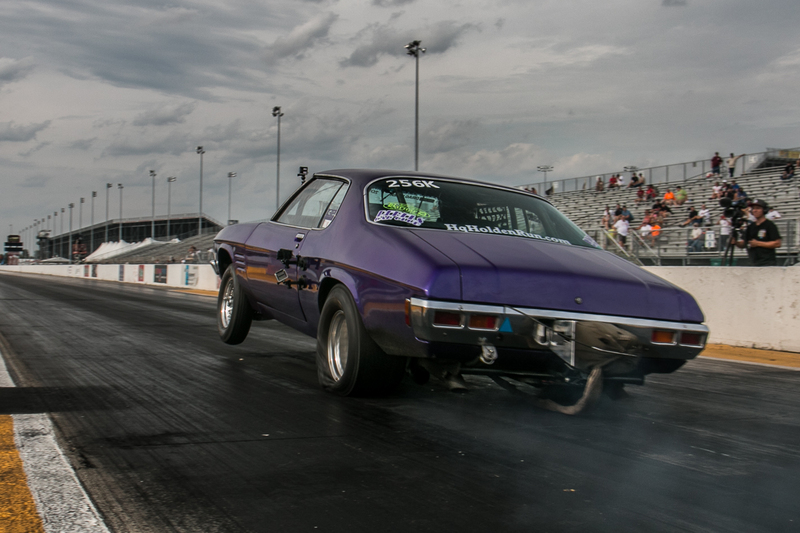 Not only that, but the Torana scored the third place trophy in the Street Race Big Block NA class, with an average of 9.70-seconds for the event. Aussie, Aussie Aussie! The Reimann Capri recorded at 10.517-second average. 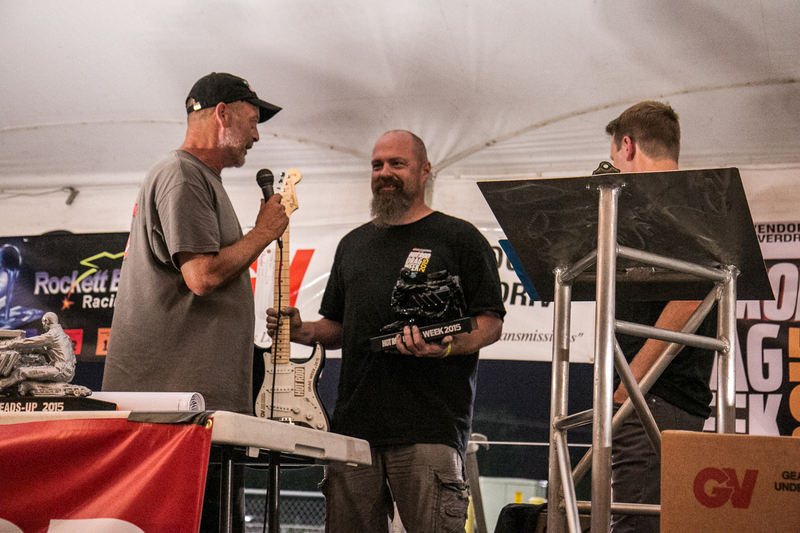 Hats off to Steve and Mark for their persistence in battling the car’s gremlins and for making the time to help their fellow competitors whenever the need arose. The spectacular HQ Monaro of Greg Trapnell didn’t make it in time to run at Cordova before the rain, so it was awarded a 20-second time. The HQ did manage some runs on the last day and ended up with an average of 12.068. The hard luck story of the day was Harry Haig and the Sexual Steve Chevelle team. 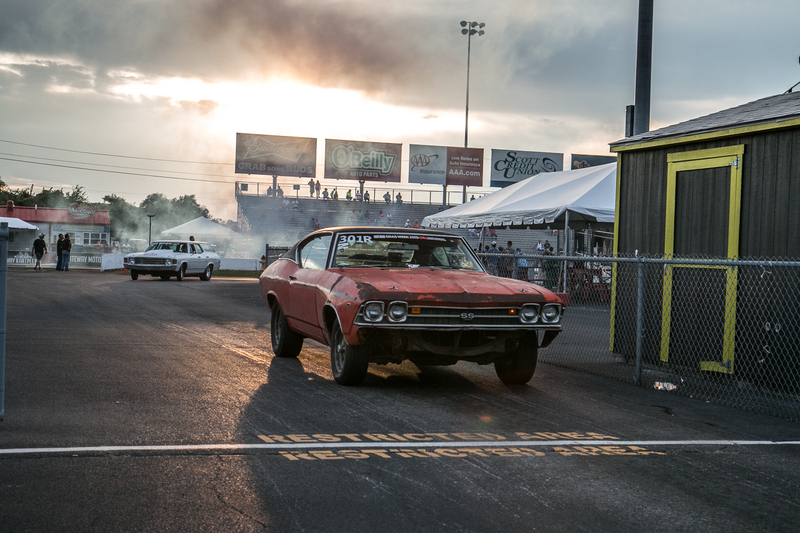 After a super human effort to get the ratty Chevelle from track to track, the Chevelle was disqualified on the last day for failing to follow the approved route back from Cordova. Nevertheless, the boys made it to Gateway and got Steve down the track, though he didn’t crack the 13-second pass they were hoping for. 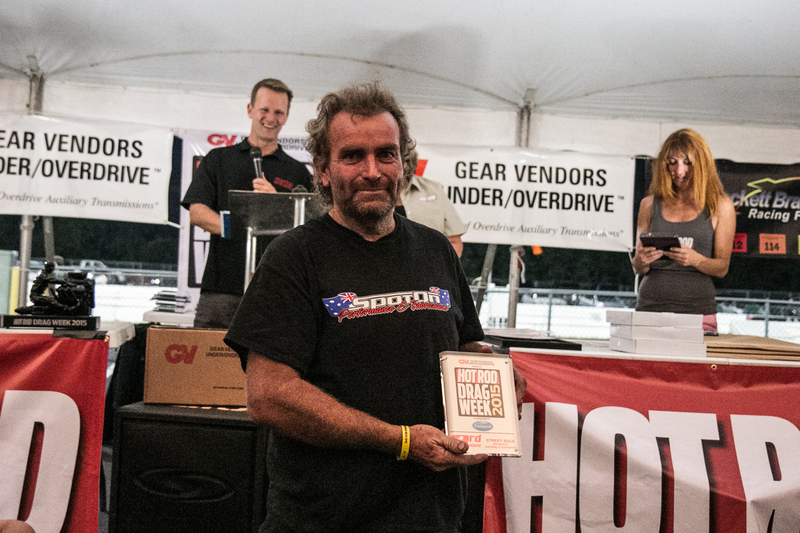 The overall winner was Tom Bailey and his killer Pro Mod Camaro. Bailey averaged 6.784-seconds over the week, with an average terminal speed of 219mph. 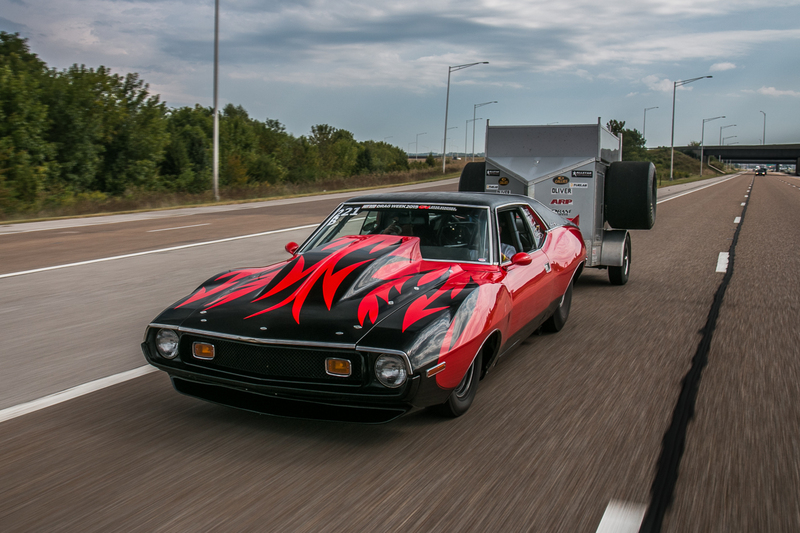 The runner up overall and winner of the Ultimate Iron class was Bryant Goldstone’s steel-body AMC Javelin. He came close to scoring a 6-second average, but finished with an average of 7.132-seconds.